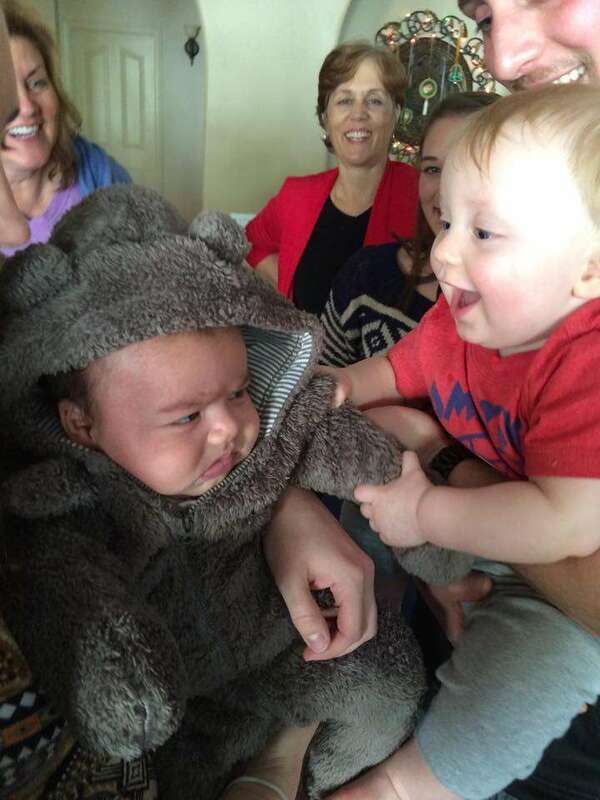 8 month old Luke meets his cousin, 7 week old Javi. Luke loves him, but we aren't quite sure that the feeling is mutual. Usually we don't get along!